The origins of the Organisation go back a over a decade and grew from Simon Fernsby’s memorable ‘Manhattan Project’ sessions which were a staple of jazz in South London throughout the 2000s. Drummer Pete Cater was an early recruit having been a jazz tutor on Fernsby’s music college course. The band went through several incarnations and with the addition of organist Pete Whittaker honed its no-nonsense, hard-hitting style as the house rhythm section in multiple venues, festivals and residencies. 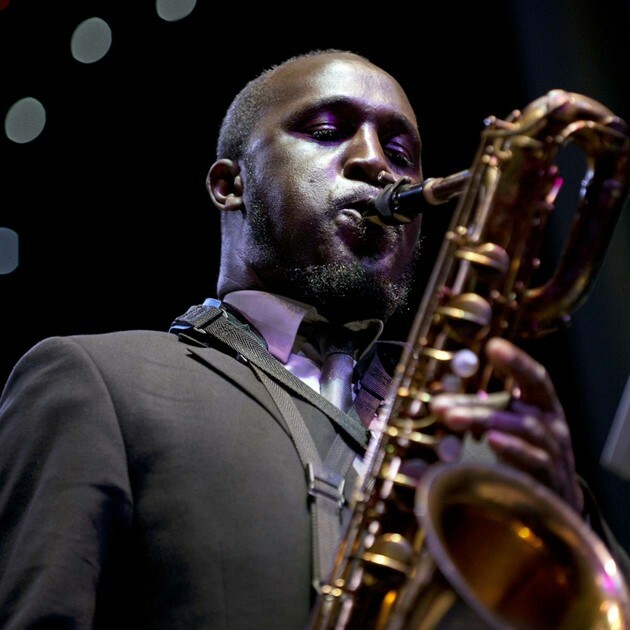 Throughout this time they worked with many of London’s leading jazz musicians but in spite of associations with several distinguished players did not become a regular quartet until a serendipitous meeting with saxophonist Tony Kofi in August 2010. This association with Tony was the result of a last minute dep at Kent jazz institution the Eagle Tavern, Tony fresh from recording with Ornette Coleman in New York. Playing both alto and baritone on the date there was an instant affinity between the players, the Organisation’s combination of both the Bluesy soul jazz side the Hammond canon, and their knowledge of the more modern post bop side of the repertoire (as typified by Woody Shaw’s “Moontrane”) working perfectly with Tony’s approach. It is to the credit of all the musicians that they have played a long game, developing their craft and style on the UK jazz circuit and the sounds you will hear are the sounds of a band who have put the hours in and held an ace in their collective hand until the moment to play it was just right.